News of the United Kingdom leaving the European Union has been one of the biggest trending topics this week. Several celebrities have taken to Twitter to openly express their disappointment and fear over Brexit. Some, like Victoria Beckham, are remaining quiet on the issue. But, since Victoria is, after all, from across the pond, many want to know her thoughts. Victoria was taking care of business in New York City when the news broke, but that didn’t stop paparazzi from swarming the celeb for a quote. The paparazzi caught up with the usually calm and collected Victoria, who looked like she meant business in a matching pinstriped top and bottom from her Pre-Spring/Summer 2017 collection. The businesswoman repped her own brand by accessorizing with the Victoria Beckham sunglasses and half moon bag. 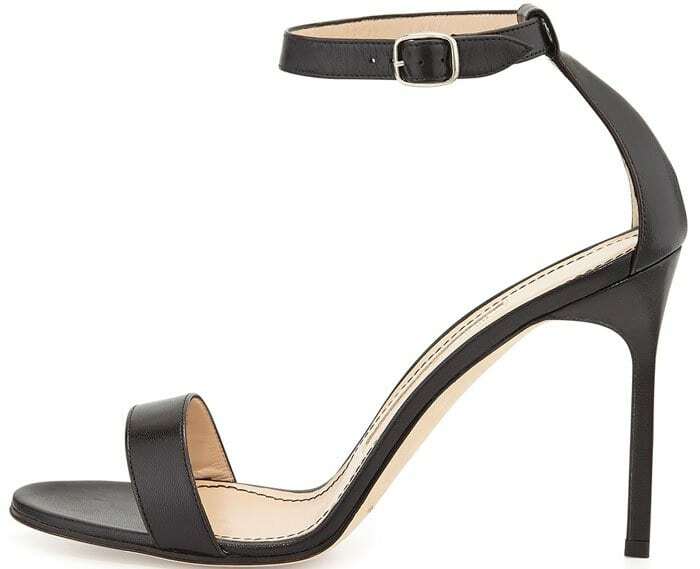 She finished her look with a pair of Manolo Blahnik “Chaos” sandals in black leather. As Victoria was heading to her car, the paparazzi took the opportunity to ask about her take on Brexit. Being a woman of a few (or in this case, none) words, the designer zoomed past the cameras, climbing quickly into her awaiting vehicle. See the full footage below. 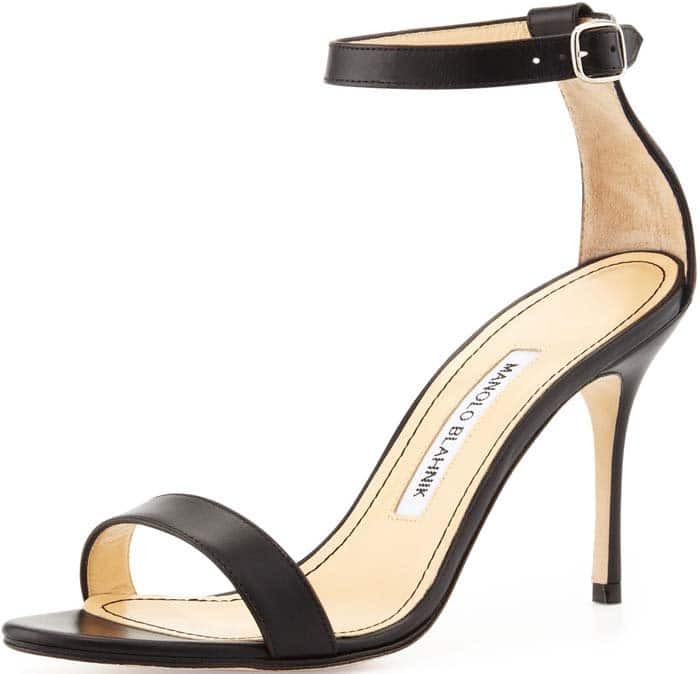 Get the classic Manolo Blahnik “Chaos” sandals into your closet by grabbing a pair at Neiman Marcus.